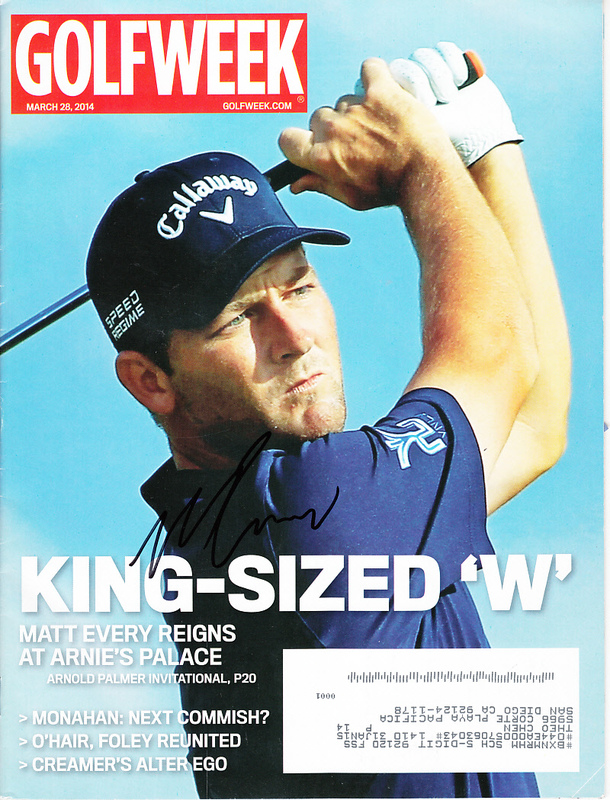 2014 Golfweek magazine autographed in black marker by PGA Tour player Matt Every. Obtained in person, with certificate of authenticity from AutographsForSale.com. NOTE: bottom right corner of cover is creased. ONLY ONE AVAILABLE FOR SALE.